'Animal farming' is a readable, thought-provoking, honest, and unstuffy account of what really happens on Europe's and Britain's animal farms, and how animal farming came to be that way. Stories behind modern farming practices are revealed and concerns are raised over how our farms will look in the future. 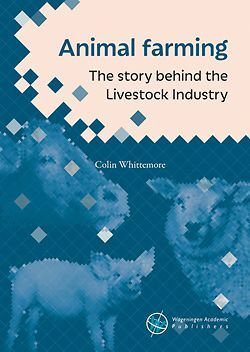 Fascinating insights and unpalatable questions are presented into the ways that animals are - often wrongly - fed, bred, housed and managed. Learning comes from failures, so the book is more about failures than successes. The author combines well researched facts with well found experience. He commends and condemns in equal measure; often in unexpected ways. A broad range of subjects is covered in the book. What domestication now means for farm animals. How selective breeding has changed them for better and worse. The mixed blessings of government support and subsidisation. The story of abuse of animals' rights and welfare is dealt with in detail, as are ideas of respect and compassion, and the inadequate ways in which animals are fed. The author describes a broken marketing system for livestock products, and also considers organic farming. Lastly, in the present environment of agricultural upheaval in Europe, how can science and technology take animal farming forward? What are the chances of the wrongs being righted - what will tomorrow's farmed animals be for?